This is a guest post by Ann Hemmens, legal reference librarian at the Law Library of Congress, to the Law Librarians of Congress Blog, October 14, 2014. Original, authoritative reports on newsworthy social and political issues. The Congressional Record is the official record of the proceedings and debates of the United States Congress. It is published daily when Congress is in session. The Congressional Record began publication in 1873 and is still published today. At the end of each session of Congress, all of the daily editions are collected, re-paginated, and re-indexed into a permanent, bound edition. This permanent edition, referred to as the Congressional Record (Bound Edition), is made up of one volume per session of Congress, with each volume published in multiple parts, each part containing approximately 10 to 20 days of Congressional proceedings. The primary ways in which the bound edition differs from the daily edition are continuous pagination; somewhat edited, revised, and rearranged text; and the dropping of the prefixes H, S, and E before page numbers. When searching over the Congressional Record (Bound Edition) on govinfo, you will be searching over the official business for each day's proceedings of Congress. This includes the House, Senate, and Extensions of remarks sections. Searches in govinfo over Congressional Record (Bound Edition) from 1999 forward will not search over other sections which are part of the official printed edition. These include the History of Bills, the compilation of Daily Digests, the resume of all business transacted during the entire Congress, and the subject index to the Bound Edition. Volumes 144 (1998) and prior are made available as digitized versions of the Congressional Record (Bound Edition) created as a result of a partnership between GPO and the Library of Congress. These volumes include all parts of the official printed edition. Congressional information is found in a variety of places, both online and in the library. Formal discussions of bills before Congress that end with a decision (vote). The Congressional Record and its predecessors contain a record of the proceedings of Congress. These are not verbatim transcripts, as members are allowed to edit their remarks and insert remarks not actually spoken. Congress.gov: Roll Call Votes by the U.S. Congress are recorded here by session. If you know the approximate date the vote occurred you can find them easily. There is no subject access to votes and the description of each vote is very brief. House recorded floor votes from the second session of the 101st Congress (1990). Congressional Record is the official source of information on recorded floor votes. Votes are printed in the daily Record (at Congress.gov and searchable back to 1995) as they occur on the floor. The votes provide an alphabetical listing of members under “yea,” “nay,” and “not voting” categories and show the overall tally for each category. However, votes are not identified by party or by state. The Daily Digest section that is printed at the end of each Record shows how many roll call votes were taken that day and show on what page in the Record the votes can be found. The Congressional Record Index provides subject access to the votes (under “Votes in Senate” and “Votes in House”). The Senate website provides a very useful guide including links to all aspects of CR available online here. CQ Magazine (aka CQ Weekly, online from 1998; before 1998, in print as Congressional Quarterly Weekly Report, JK1 .C2) compiles voting charts of all votes taken in the Senate and House each week. The charts are arranged chronologically by Congressional Record vote number and alphabetically by state. Members’ names are listed in the left-hand column and vote numbers are shown at the top of the chart. The charts show how each member voted or whether the member was absent or paired on a vote. There are also overall vote tallies and party breakdowns on the vote. Reports - House and Senate Reports are committee reports on proposed legislation. Once a bill is "reported" it can be sent to the floor of the House or Senate for debate or voting. Documents - House and Senate Documents are publications printed by order of Congress. They include reports of executive branch agencies, special studies done for Congress, and reports of some non-governmental groups. FDsys (in the Featured Collections list) 99th Congress (1985-86) to present. Congress.gov (choose Committee Reports from the drop-down next to the search box) 104th Congress (1995-96) to present. Published committee hearings include transcripts of testimony, question and answer sessions, and any supplementary material inserted into the record. Not all hearings are published. Since congressional committees do not have a statutory requirement to adhere to a mandated printing schedule, the interval between the time a hearing is held and the time it is printed can vary greatly. Since congressional committees do not have a statutory requirement to publish hearings, it is not even certain that a hearing that is held will ever be officially published. Location: Check online catalog for availability and format. OSU has hearings from about 1980 - 1999 on microfiche. Hearings from 1999 - present are collected in paper and many are online. Pre-1980 hearings: We have a collection of selected pre-1980 hearings. Most are not cataloged. Location: Documents stacks arranged by committee name and title. FDsys (in the Featured Collections list) from 1995-96 (104th congress) - present. The Legislative Source Book from the Law Librarians Society of Washington DC provides links to committee web pages and any testimony they have put on the web. Congressional Committee Prints are publications issued by Congressional Committees that include topics related to their legislative or research activities, as well as other matters such as memorial tributes. The prints are an excellent resource for statistical and historical information, and for legislative analysis. The subjects of the Committee Prints vary greatly due to the different concerns and actions of each committee. Some basic categories of Congressional Committee Prints are: draft reports and bills, directories, statistical materials, investigative reports, historical reports, situational studies, confidential staff reports, hearings, and legislative analyses. Many committee prints are not widely distributed and are not made available to libraries. OSU has some prints from about 1980 - 1999 on microfiche. Prints from 1999 - present are collected in paper and online. Check online catalog (1Search) for availability and format. Proposed legislation under consideration by Congress. A bill does not become law until it is passed by the legislature and, in most cases, approved by the President. Once a bill has been enacted into law, it is called an Act or a Statute. OSU has House and Senate Bills from 1987 (100th Congress) - 2000 (106th Congress) on microfiche. For previous years, text of bills may be included in the Congressional Record or in Senate and House reports, prints and hearings. Current bills are available online. Congress.gov: indexing and full text from 1993 (103rd) - present; choose "All Legislation" in the pull-down next to the search box. Public laws affect society as a whole, while private laws affect an individual, family, or small group. Public and private laws are also known as slip laws. A slip law is an official publication of the law and is competent evidence admissible in all state and Federal courts and tribunals of the United States. After the President signs a bill into law, it is assigned a law number, legal statutory citation (public laws only), and prepared for publication as a slip law. Private laws receive their legal statutory citations when they are published in the United States Statutes at Large. Prior to publication as a slip law, marginal notes and citations are added for each law, as well as a legislative history for public laws only. Until the slip law is published, through the U.S. Government Publishing Office (GPO), the text of the law can be found by accessing the enrolled version of the bill (ie, a copy of a bill passed by both houses of Congress, signed by their presiding officers, and sent to the president for signature). The permanent, official collection of every public and private law and resolution enacted by Congress. The process takes several years, and the most recent volume is generally dated five years before the current year. FDsys: The most current volumes prepared and published by the Office of the Federal Register (OFR), National Archives and Records Administration (NARA); these are fully searchable. An easy way to connect to just the title and section needed is to use the official site from the House of Representatives, http://uscode.house.gov/ . Or use the Legal Information Institute (Cornell University Law School) website for the U.S. Code, http://www.law.cornell.edu/uscode/ . You can even set up an RSS feed here for titles you commonly access. This process is seldom smooth or direct. Bills may be sent back to committee or to a different committee for more work, be amended, “die” through inaction, be pulled by the sponsor, be re-introduced in a future session with minor or major changes and a new name, etc. It is important to rethink this process with each bill you research, and keep in mind the kinds of political or procedural maneuvering that can happen at any point. 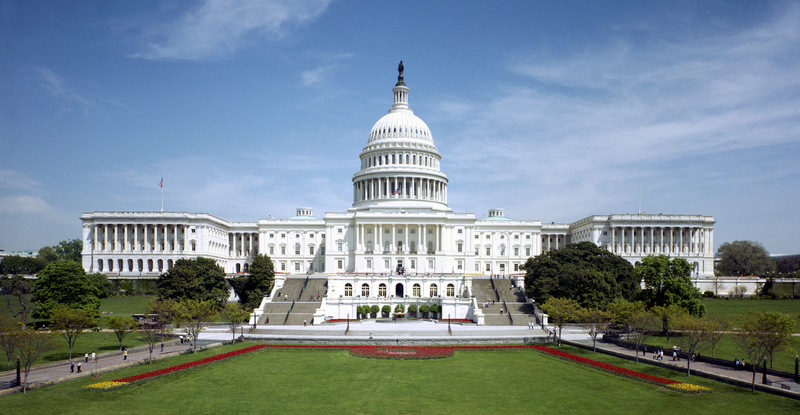 To keep up with current legislative activity, visit CONGRESS.GOV. Often ignored, but very useful, is a way to translate dates to Congressional session. If you're looking for a bill passed in February of 1992, and you only have the date, which Congress and session was it? Where can you find out so that you can do a better search? Wikipedia has a useful chart at http://en.wikipedia.org/wiki/List_of_United_States_Congresses that you may want to keep handy for these situations!